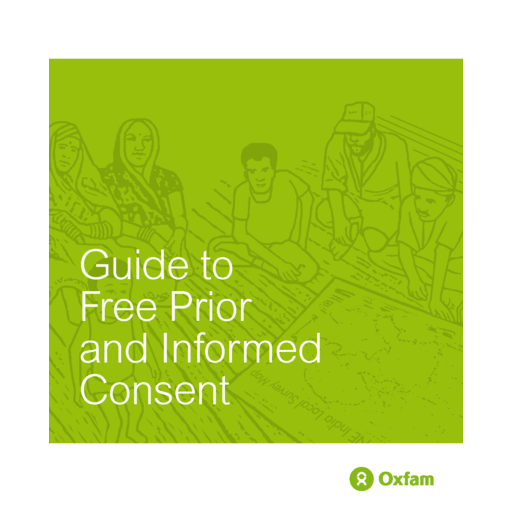 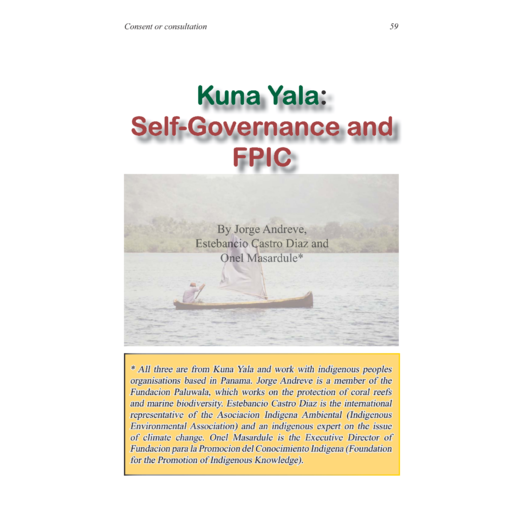 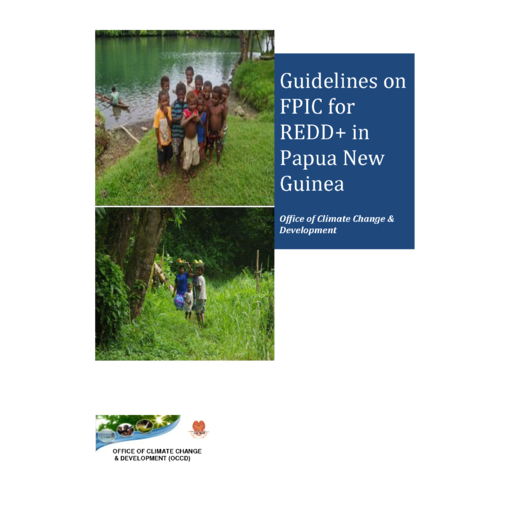 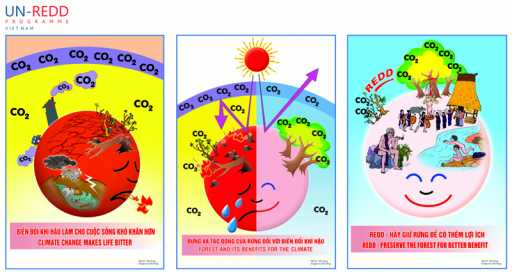 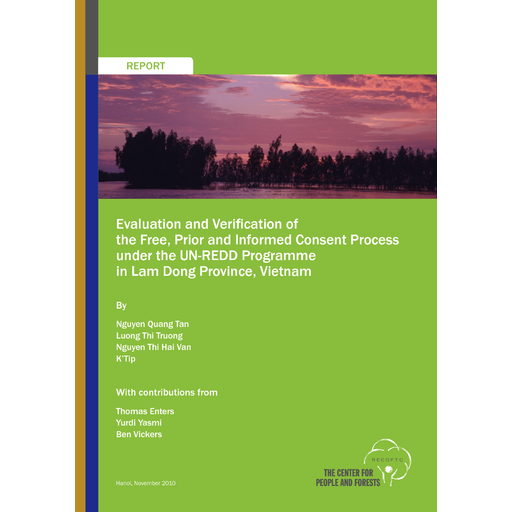 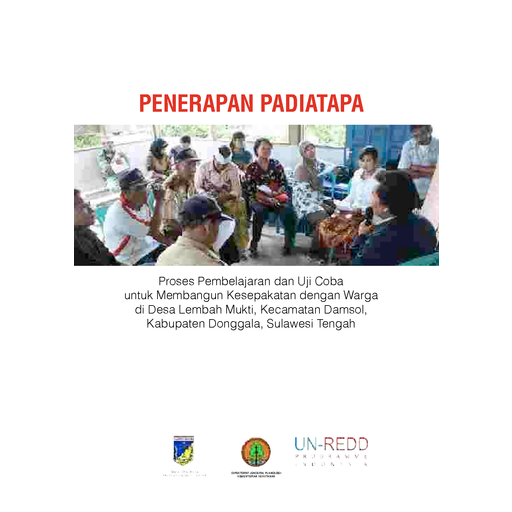 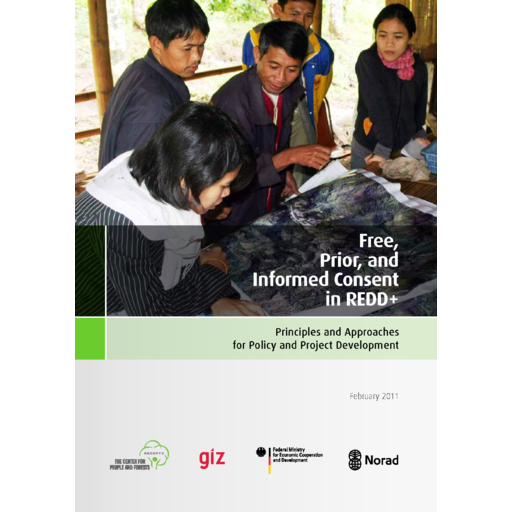 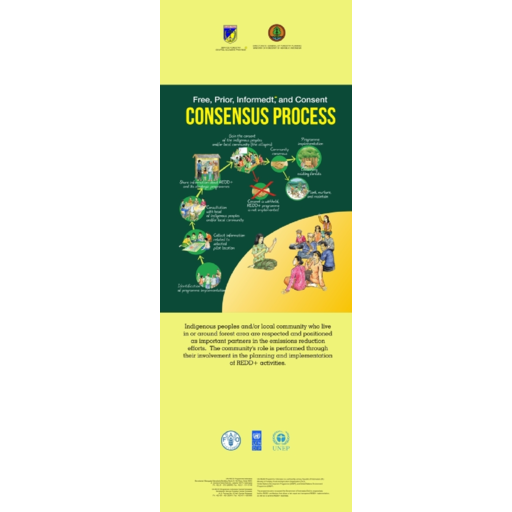 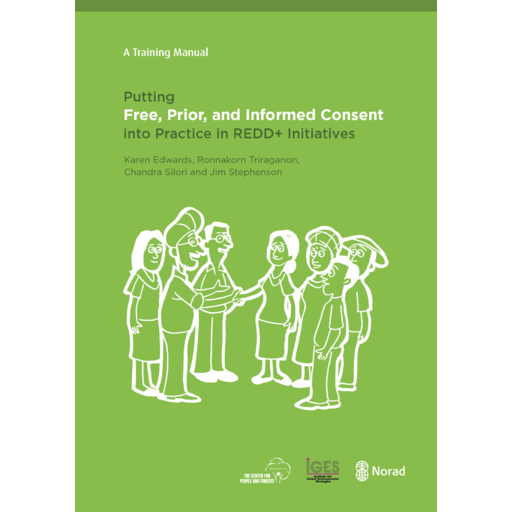 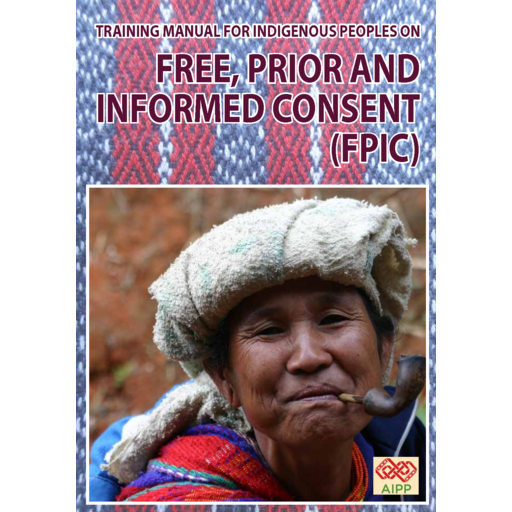 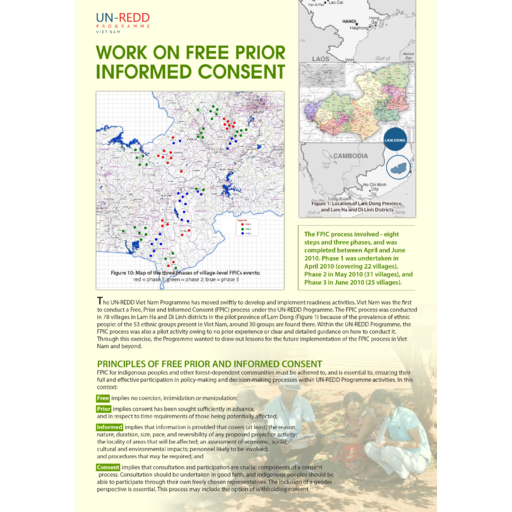 Free, Prior and Informed Consent (FPIC) in the context of REDD+ continues to be a challenging concept. 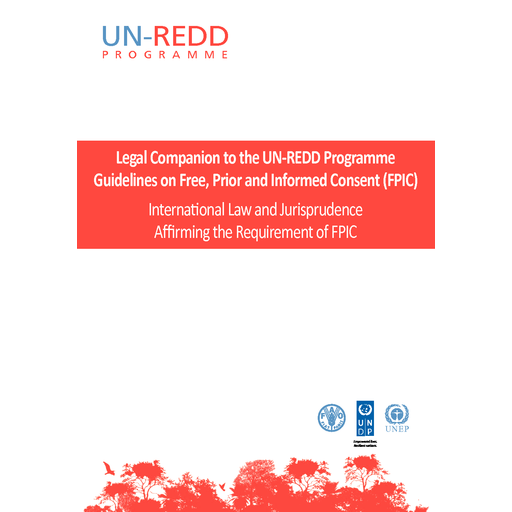 There is no single internationally agreed definition. 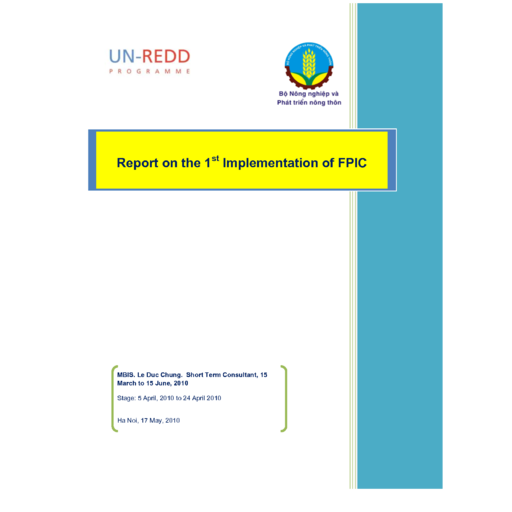 Neither is there a single way to implement FPIC. 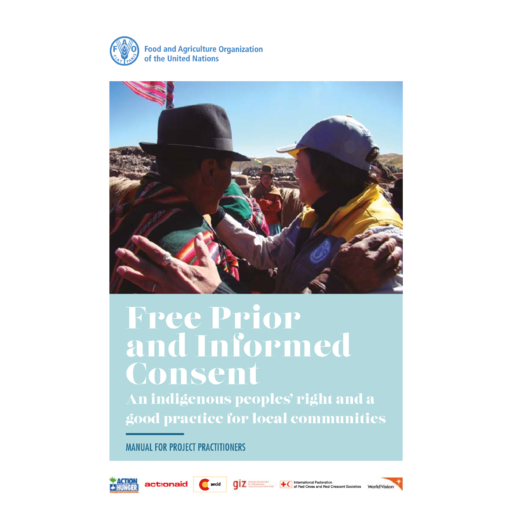 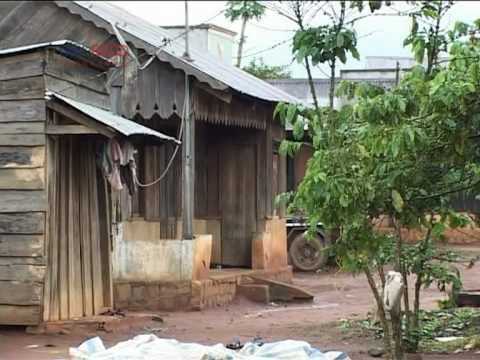 It varies across regions, countries, contexts, peoples and communities. 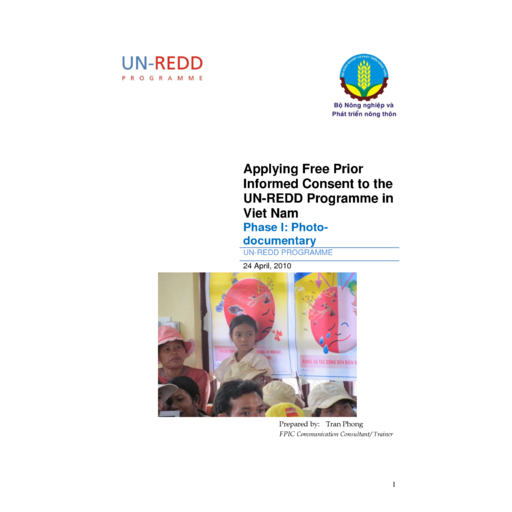 There is, however, a growing body of practitioners, be it UN-REDD Programme partner countries, or REDD+ project developers, who have taken the discussion beyond the realm of the rhetoric into actual demonstration. 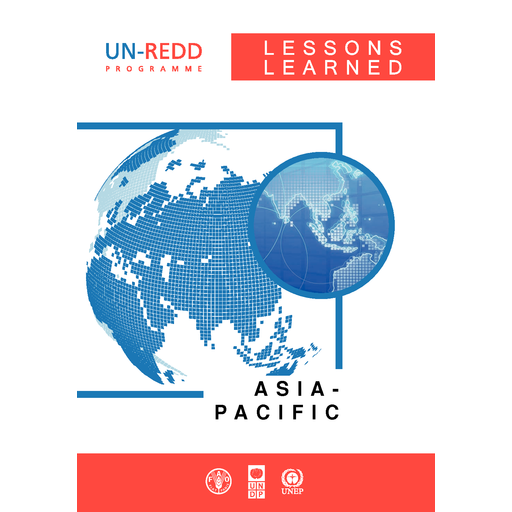 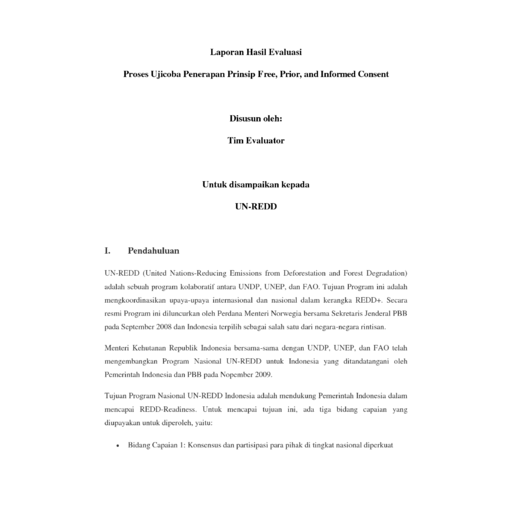 Lessons learned and recommendations – Highlights useful lessons for future consideration. 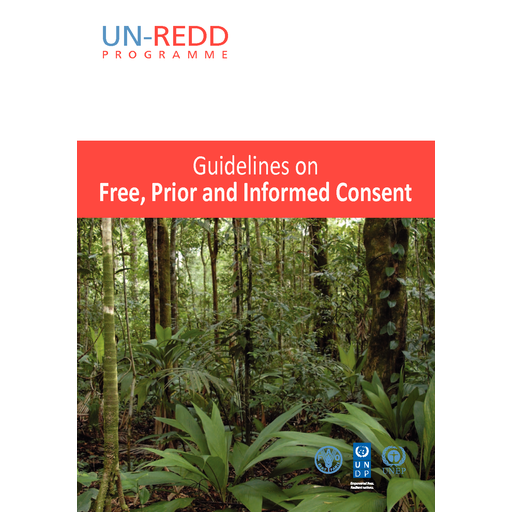 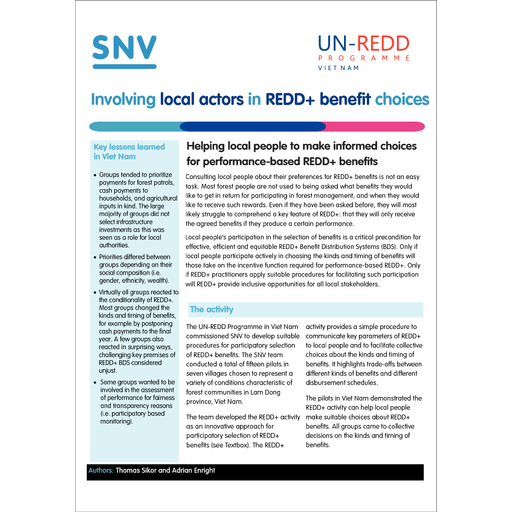 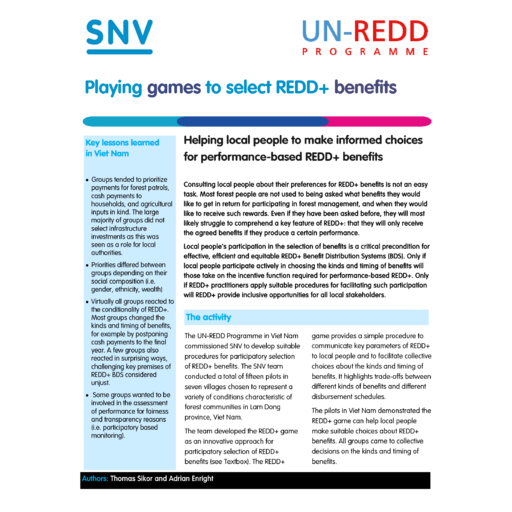 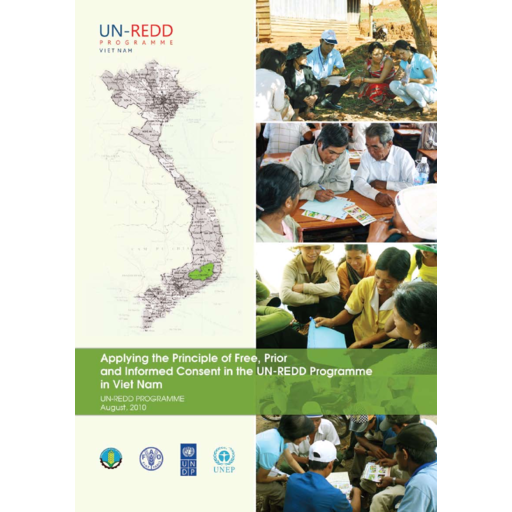 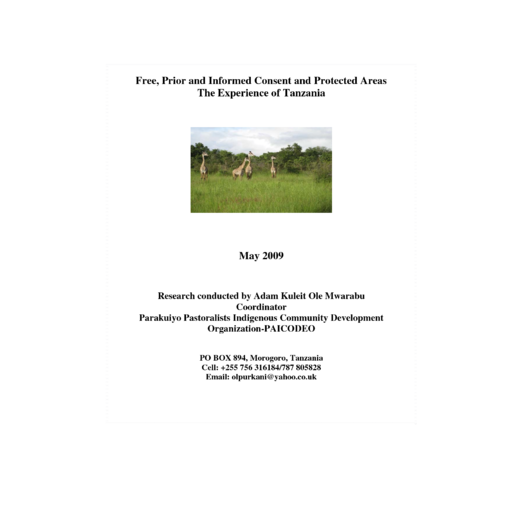 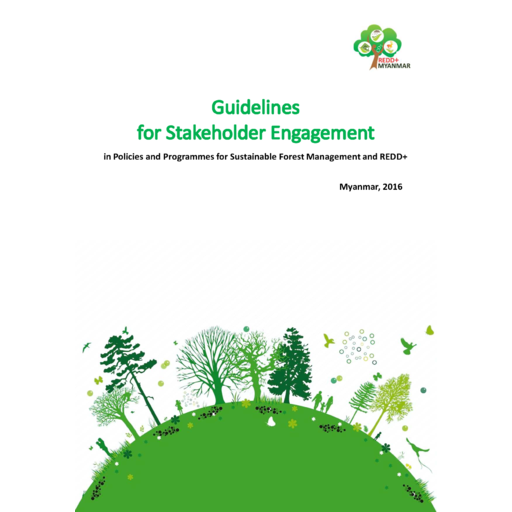 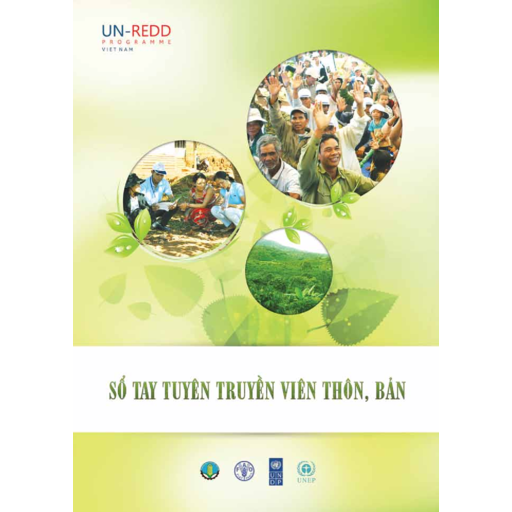 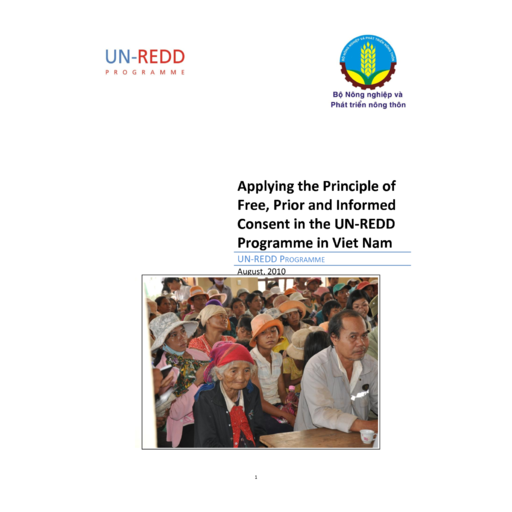 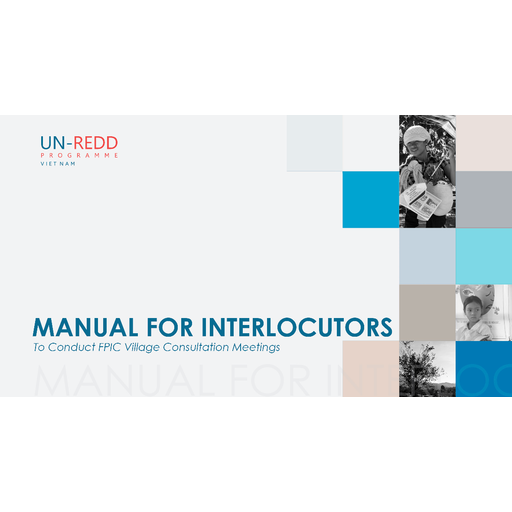 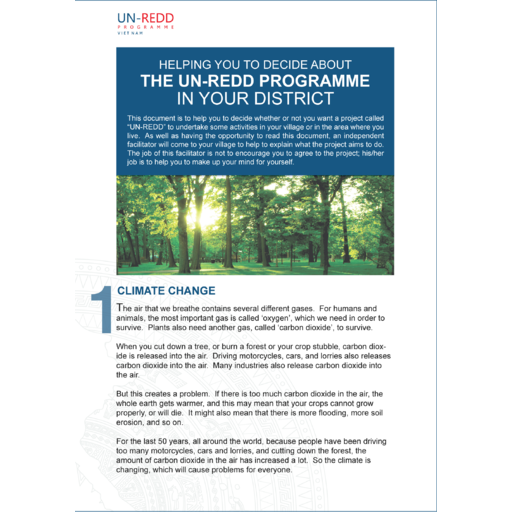 All documents were produced as part of the UN-REDD Programme in Partner Countries unless acknowledged otherwise. 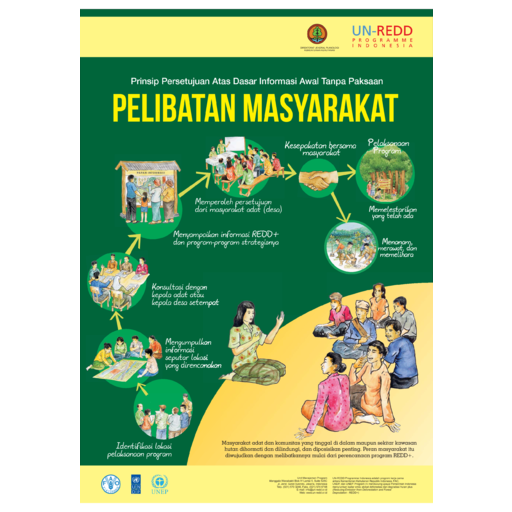 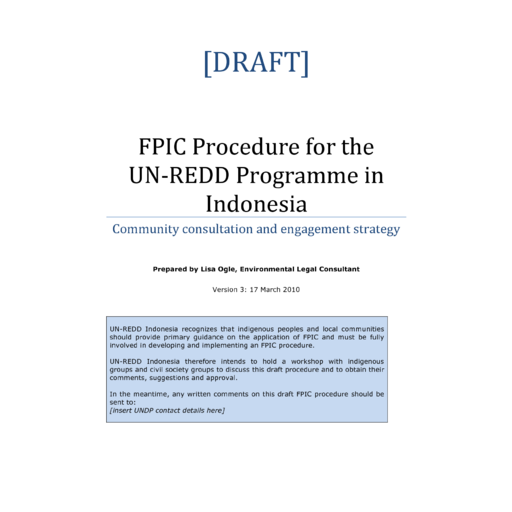 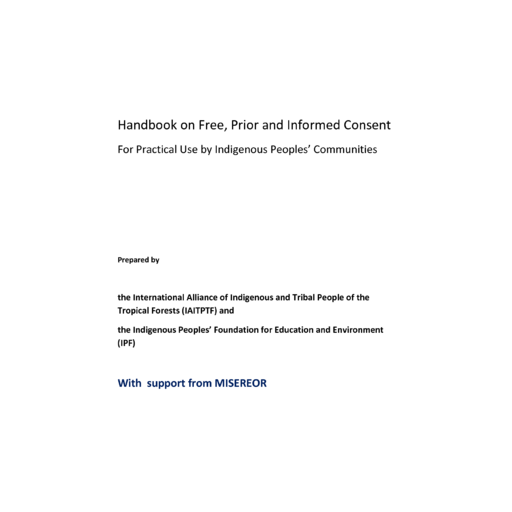 Find capacity building resources and learning tools here.